For those of you old enough to remember when Paul McCartney was in a band before Wings, Irwin Allen was one of the kings of television science fiction. Allen was force behind several famous series including Lost in Space and Voyage to the Bottom of the Sea. If you watched both series and paid attention, you would see the same space monster that attacked the Robinsons on another planet appear in the following week wrestling with the Seaview on the bottom of the ocean. In addition to the cast of the TV series that included Richard Basehart as Admiral Nelson and David Hedison as Captain Crane, the show centered around a futuristic nuclear submarine that was used for exploration as well as being armed for combat. Among the tools of exploration carried aboard the Seaview was the Flying Submarine. This manta-ray-shaped craft was stored in the bow, launched from underneath the Seaview, and was at home cruising underwater or could accelerate to flying speed as it burst out of the ocean and into the air (only on TV...). 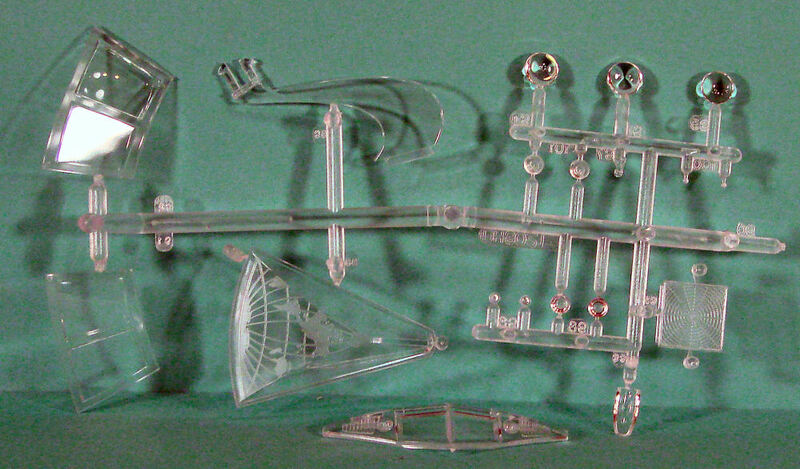 In those early days of television science fiction, model companies produced kits of many of these ships, aircraft, spacecraft, etc. Aurora was big on Irwin Allen subjects and had started on Lost in Space kits before the company ceased operations. 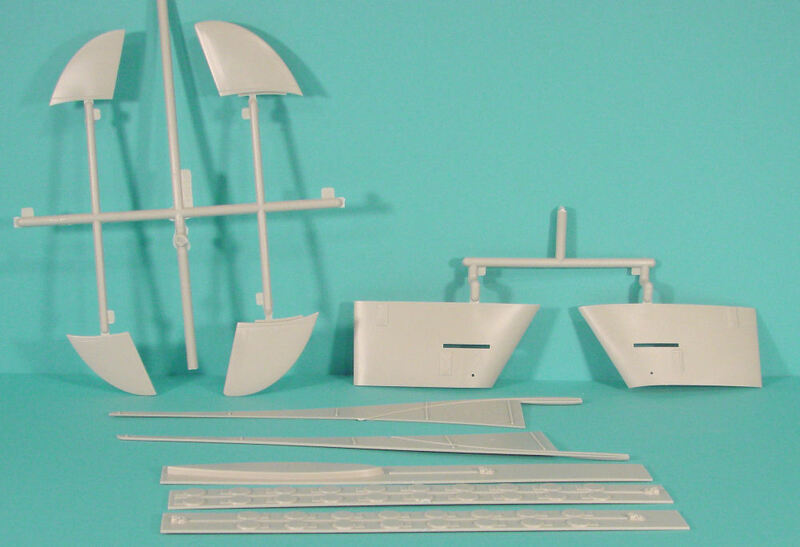 In that time, Aurora had also produced a (roughly) 1/350 scale kit of the Seaview, which became a highly sought after model after the demise of Aurora. Decades later, another company came along to revive the tooling, designs and spirit of Aurora's science fiction kits - Polar Lights. 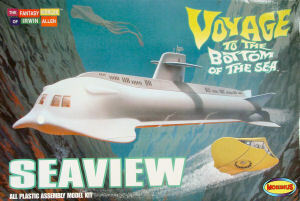 While they didn't get far enough along to do anything new with the Voyage to the Bottom of the Sea line, they did reissue that 1/350 scale kit. That was a fun build, just for old times! Polar Lights is currently in cold storage as their current owners aren't interested in the plastic model business. 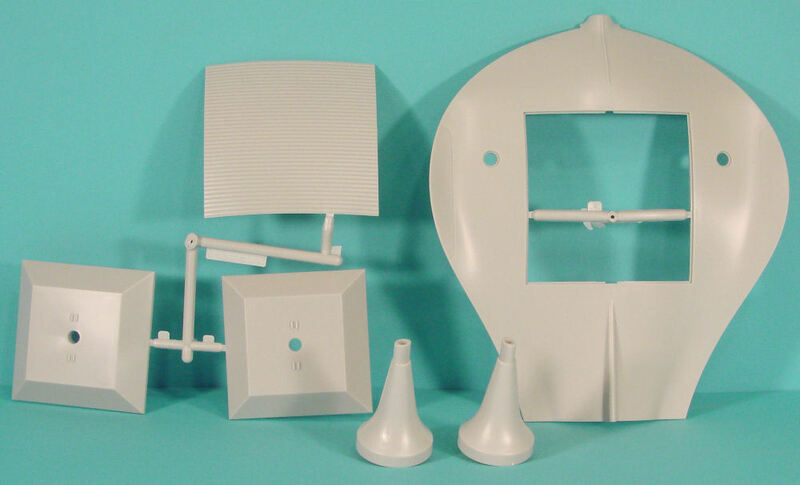 Take a closer look at the rest of those kit parts. This kit isn't a scaled up hollow shell version of the Polar Lights model. 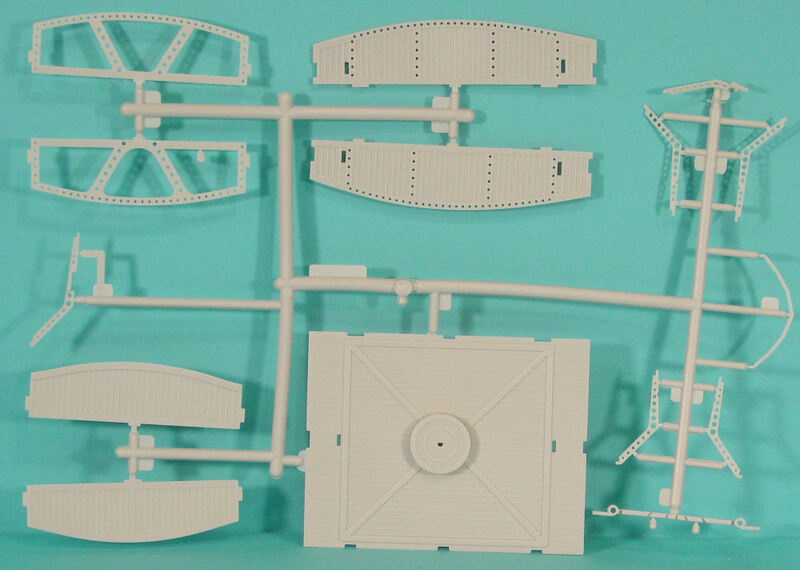 This model has been painstakingly researched and replicated from the studio models. 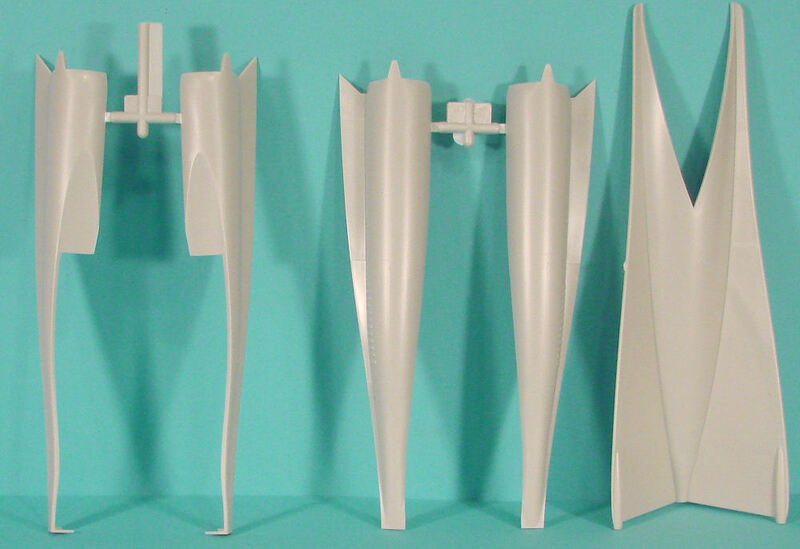 In fact, it is from the studio models that some of the differences arise. 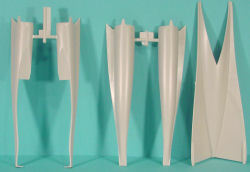 This model represents the four-window bow from season two and beyond. Shooting was done with a 17 foot model and an 8.5 foot model. 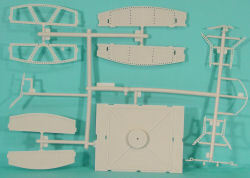 The 17 foot model had 20 missile tubes and bow window frames, whereas the 8.5 foot model had 16 tubes and no bow window frames. How about that for detail fidelity? 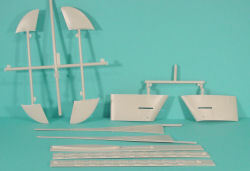 I dry-fit the hull halves, fore and aft. There are no obvious fit problems nor any warpage common to larger models. 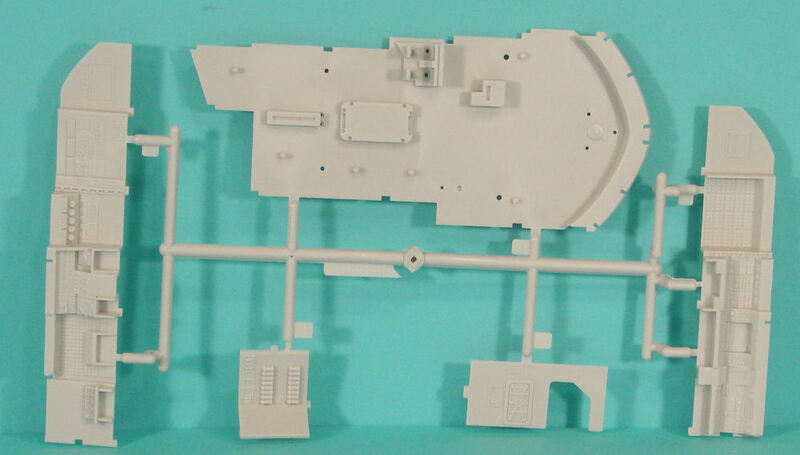 In fact, if you look at the interior of the forward hull half in the top photo, you'll see integral frames molded into the inside the model to help the kit keep in shape and to minimize flexing of the hull when handled after assembly. 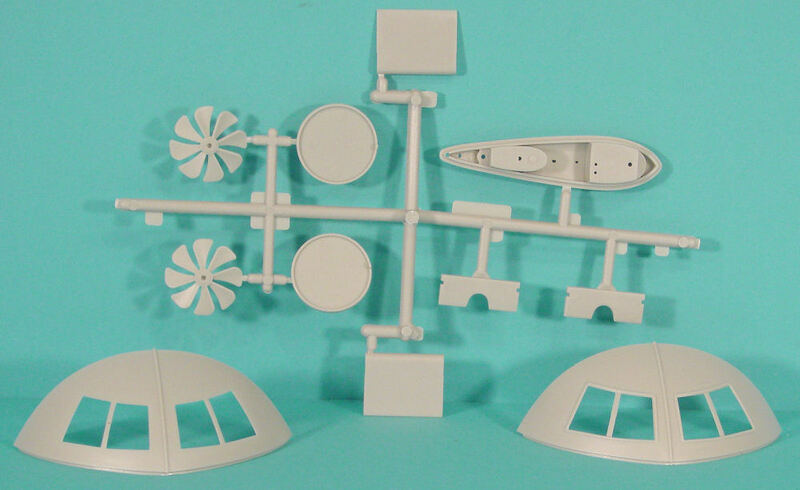 The joint between the forward and aft hull sections is also nicely with some interior overlap to provide adequate gluing surfaces to ensure post-assembly structural integrity. The AMS modeler will want to think about lighting in this model as well as fixing the completed model on a proper wooden or stone base. There is lots of potential as well as re-run memories in this kit. This kit is definitely recommended! I'm going to need some serious shelf space to display this model!